Thomas: "We get out now or we die trying." Minho: "You don't get it. We're already dead." "The Maze Runner" is just like its predecessors "Twilight", "Divergent","The Giver" and "The Hunger Games" an adaptation of a book. The same ingredients are present as in the above-mentioned films : a post-apocalyptic world where young people play a key role. A world where society is organized in a new democratic or non-democratic way. In "The Giver" human feelings were suppressed in order to ensure a peaceful existence and people are divided into so-called "factions". In "The Hunger Games" there are districts with the Capitol as an overarching body that organizes the Hunger Games annually. Also in "Snowpiercer" we see an example of a dystopian world with a particular social classification in a speeding train. The second ingredient that can't be missed is a revolution against the established values and laws. Obviously, this is again a youthful person with a charismatic personality who has certain talents and who becomes the savior. Calling this a pubertal display that tries to take advantage of the huge success of "The Hunger Games" for me personally is greatly exaggerated. What the hell is wrong with the fact that a group of young people are trapped in a hopeless situation already for years and established a commune with its own laws and rituals. Isn't it a bit like "Oliver Twist" in Charles Dickens's story, who tries to survive in a miserable orphanage? And the group of young people who end up trying to solve the problem resemble enormously the group of friends from "The Goonies". Everybody loves that movie, not ? The sympathetic chubby Chuck reminded me immediately of Chunk ! 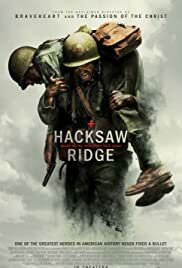 Granted, it's not very original, and all they are trying is to taste a bit of the success that has this type of movies has with the young moviegoers. 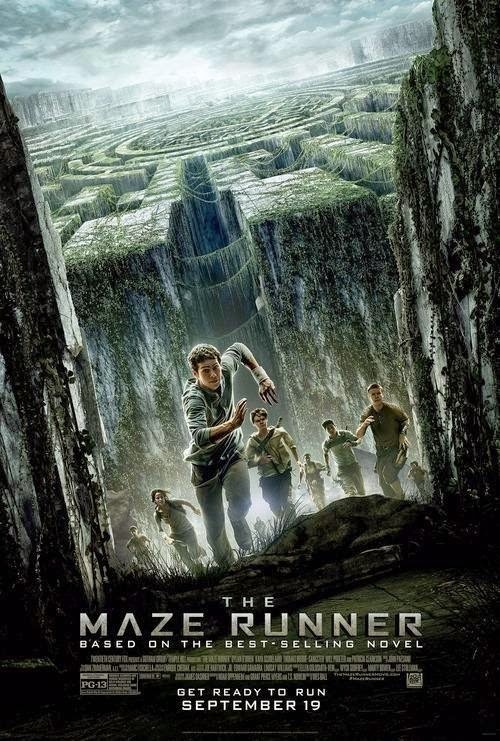 But intuitively "The Maze Runner" was for me a of whole new level. It's a highly entertaining film that captivates from the first minute. What I appreciate the most, is the fact that there isn't too much time wasted on extensive digressions and you are catapulted right into the middle of the story. An elevator takes Thomas (Dylan O'Brien) with high speed up to "The Glade", where he's being welcomed by a group of youngsters who live there already for several years and who can't remember anything except their first name. It's a wooded glade and everyone got assigned a certain task. The glade is surrounded by an immense labyrinth of which the layout changes at certain times and apparently there is no way to escape out of it. Some of the boys got the status of "Runner". They leave at the crack of dawn and explore the maze. They try to chart the maze and seek for a possible escape-route. The final story isn't that impressive and looks quite simple : put some young people at the center of a maze from which they can't escape and afterwards you add a rebellious adventurer who couldn't care less about the imposed laws and wants to do everything possible to escape. That's about it in a nutshell. But it's the way in which the maze is shown that deserves an applause. A mechanical maze that adapts itself at certain times and where at night terrifying monsters (called Grievers. A kind of spider-like robots) wander around. The constant threat of the maze, the unknown and the creepy night sounds provide for an atmosphere full of suspense. The rapid pace of the movie makes sure you won't be bored for a second. And the special effects look usually impressive. I was only familiar with Will Poulter (goofy Kenny from "We're the Millers") and Thomas Brodie-Sangster ("The Last Legion"). The rest of the cast are relatively unknown young actors (and one actress). Usually there's always one person that mostly starts to annoy me, but this time I thought they all were acting properly. What surprised me the most was the fact that the introduction of Teresa (Kaya Scodelario) didn't led to yet another teenage love affair as in the other similar movies (But I'm sure this will be a fact in the sequels). In my opinion an exciting and successful teen adventure with a few shortcomings. First, I don't think that those who read the book will think it's so overwhelming. Probably it won't meet the expectations and there will be things that are left out or shown in a different way. And knowing the end of the film will surely ruin the fun. Lucky me though, "again" I didn't read the book. Secondly, I found it pretty idiotic that the group of youngsters were able to build a tower to get an overview of the maze, but not one of them was clever enough to build it next to the wall. And third the ending was quite abruptly. That this is a transition to the logical sequels of this film is obvious. Hopefully they'll be of the same level as this one and not like "The Hunger Games" of which the second part really looked like a duplicate of the first. And fourth, I find it a bit sad for the firstlings who spent three years searching the exit and the newcomer solves the puzzle in a few days. Although I'm not a proponent of sequels or prequels and I hate it that movies tend to inherit the characteristics of a boring and tedious TV series, I'm enormously looking forward to the second part. Jeeeezzzz, I'm amazed about myself !